Manuel Antonio in this small and pristine Costa Rica means hills covered with green forests compose the common landscape of the area. 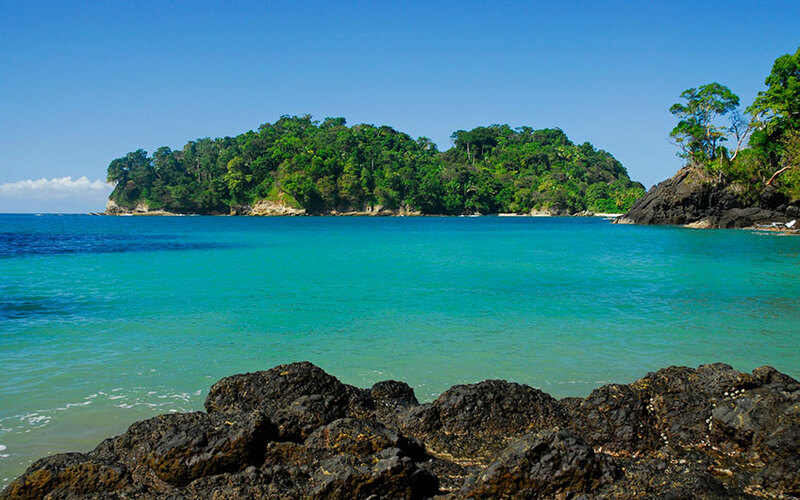 Some of the characteristics which have made Manuel Antonio one of the places most preferred by the tourists are its white sand beaches, cliffs, rivers, rain forests, the large variety of animal life, and the climate of the area. The lifestyle on by the coast is all about beach-life, and the warm clear waters are perfect for try some fun activities such as taking some surfing lessons of practicing the sport if you already know how to surf; kayaking and sail along. You can find some sportfishing tours in the area if you like that kind of activities. Manuel Antonio is located very close to the capital city of the country and you can get there in some different ways: by driving your own rented car at your own convenience, with one of our tourist travel guides and private services or, the fastest way is by taking a local flight departing from one of our international airports. 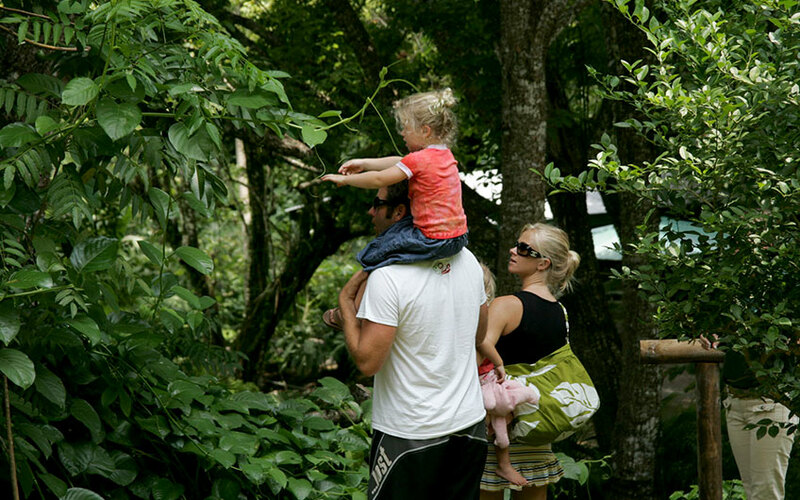 In the following lines you will find more information about which are some of the most popular activities you can do in the sensational Manuel Antonio area. 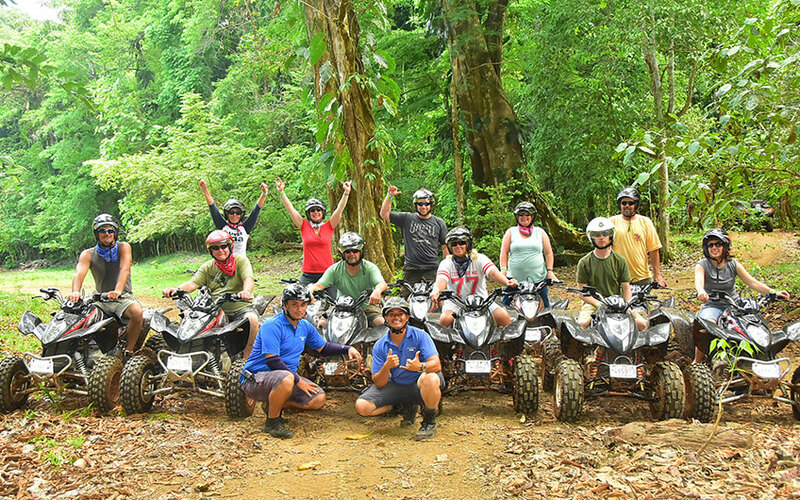 During this 3-hour tour, visitors can feel the thrill of riding on their own ATV in the hills outside the small village of Quepos, as the bilingual guide lead you through rustic unpaved roads, giant African palm tree plantations, traditional cattle farms, and typical towns such as Naranjito and Londres. Here, traditions and Costa Rica typical food are at its best. Then, when the tour is finishing there is a chance to cool off in the refreshing crystal-clear waters of one of the various waterfalls you will find here. For taking this tour, you must know that children under parental supervision are permitted (according to the previous stablished ages). There are different canopy tours in the region, but just to give you an example, you can explore one consisting on 17 platforms, 9 zip lines and 3 rappels. One of the exciting adrenaline activities in Costa Rica. 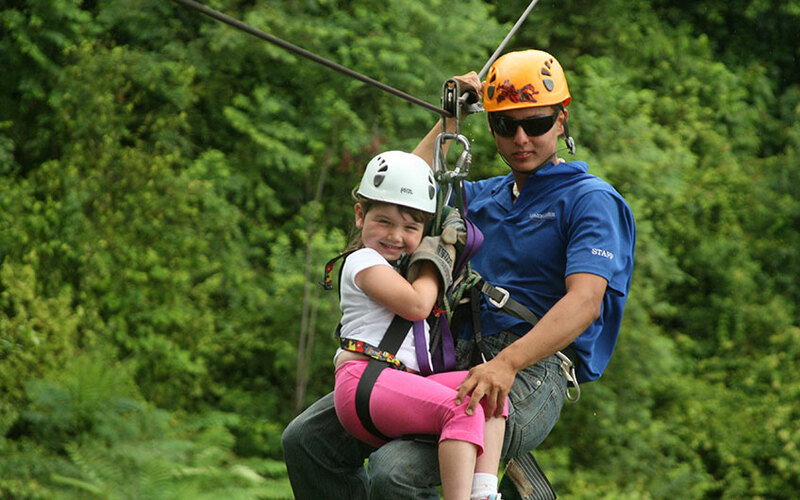 Canopy tour provides that freedom feeling to the free spirit that resides in all of us. This adventure is designed to dip you in a world of emotions. The trip is for anyone over the age of 5, hazardous and in controlled physical condition. After you’ve cloy yourself with Manuel Antonio National Park and its beaches, experiment something different located only about 1 hour away: the Carara National Park. Visit this impressive transitional moist to dry forest and follow the trails to observe the variety of plants, amphibians, reptiles and birds such as the famous scarlet macaw. Crocodiles more than three meters long can be seen all along the Tarcoles River. If you are travelling with your family, then we can assure you that you and your family will surely love the experience. It is very educative and you will have the opportunity to appreciate nature from another perspective, and you will meet some of our wild animals for sure. Different species of birds and other mammals are part of the ride. It is one of the most popular touristic attractions in Costa Rica, being visited by approximately 160,000 visitors every year. The weather in Manuel Antonio is warm and humid, with heavy rains in the rainy season months and many hours of sunlight during the dry season. The Manuel Antonio National Park is a small place, compared with other National Parks in Costa Rica. However, it offers a huge variety of wildlife and beautiful beaches that will impress visitors in Costa Rica ecology tours. 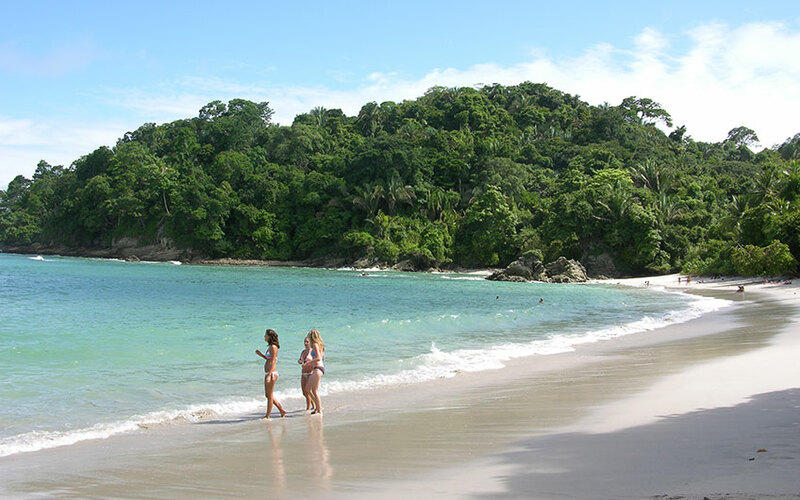 There are four beaches there you must visit, called Manuel Antonio, Playita, Espadilla Sur and Escondido beach. The morning tour includes a snorkeling adventure at one of the beautiful snorkeling locations along the coast of one of the local beaches. The afternoon tour is a truly amazing trip for nature lovers who will enjoy not only the experience itself but the breathtaking sunset of the Pacific Ocean. Humpback whales, and dolphins as well as other beautiful marine life that can be witnessed on your catamaran tour adventure. On board you will be offered with an excellent variety of snacks and natural drinks, and these can be enjoyed while navigating along the coast with the ocean breeze and the sun, helping you to enjoy this tropical paradise. The list goes on, but one thing is for sure – you will not realize just how beautiful and how much fun you can have in Manuel Antonio until come and visit this marvelous place during your Costa Rica vacation. Just be sure to include this destination in your next Costa Rica travel vacation package and we will be more than pleased to look for the best accommodations for you as well as the best activities in the area, for you to spend some interesting and fun time while relaxing a little bit. You won’t find anything like this Paradise in another part of the world.